The Trusted Regina team are very excited to announce our newest Trusted Regina partners The Bone & Biscuit Co. Located on Quance Street behind the Victoria Square Mall, Regina this charming little Regina pet store has product lines for dogs and cats that include only the finest high quality raw, dry and canned foods. Find an abundant selection of natural treats, homeopathic supplements, unique artisan baked goods, clothing and comprehensive range of “boutique” toys and general care items for everyday use. The food is all free of wheat, corn or soy. Much of their product is Canadian – some even from here in Saskatchewan! Owner Laur’Lei Silzer is an animal lover herself with three dogs and two cats, all of whom are rescues. "The only thing I love more than shoes (I have 151 pairs) is animals." After she retired early from the government she decided to embark on a new adventure and Bone & Biscuit was a natural fit. "I have never regretted my decision and I love coming to work every day. Everyone should have this much fun at their job!" Behind every great business stands an exceptional team. Manager Stacie works with customers regarding nutrition and behavior. She has a diploma in Canine Nutrition and a Certificate in Nutrition and continues her studies in Canine Healthy Nutrition. She is currently enrolled in a Raw Nutrition course and has two Diploma's in Canine Behavior Coaching and is working on a more intense course via the UK. In addition, the support staff are also exceptionally knowledgeable and just love to help customers make decisions about what is right for their pet. Their knowledge and willingness to help their customers really shows. When calling to ensure they were indeed trustworthy as part of the unique Trusted Regina verification process the feedback from customers was exceptional. Here is what some of their clients had to say. We are confident that Bone & Biscuit are a great addition to the Trusted Regina directory of excellence and happily welcome them aboard. Full Throttle Furnace & Duct Cleaning Inc. is the proud sponsor of the Regina Humane Society's Pet Therapy Project. "We have two rescue dogs and a cat ourselves. Also all of our staff are animal lovers, one is even a dog trainer. This provided a great way for us to show support to our staff members, our many pet owner customers, and the community. Animals are a part of our lives everyday and this sponsorship is just a great fit. We are so proud to be a part of it." Now Officially named The Regina Humane Society’s Full Throttle Furnace & Duct Cleaning Inc. Pet Therapy Program. Furnace & Duct Cleaning Inc. is helping to ensure the great work this program does will continue. residential facilities and rehabilitation facilities benefit from these day brightening visits. residents who benefit from it”. About Full Throttle Furnace & Duct Cleaning Inc.
Clint Orr, the owner of Full Throttle Furnace and Duct Cleaning is extremely professional and very knowledgeable. To find out more about them you will find them in the Regina Cleaning service Category. 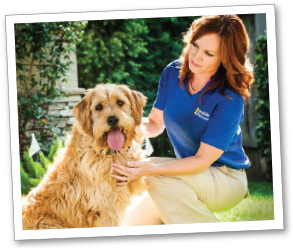 Over the last 40 years, they have helped more than two million pets and their owners lead safe and harmonious lives together, and their exclusive training program allows dogs and cats to learn their boundaries without fear, distress, or behavioral harm. Their proven P.E.T. Approach™ training method ensures the success of their products every time, with any pet, and in every household. The result? An unparalleled success rating (over 99%) and the most effective solutions in the industry! Freedom and convenience for you & your pet...and the system has a lifetime warranty. That’s an OWNERS lifetime warranty! Invisible Fence Saskatchewan are Trusted Regina Pet fencing solution experts! Recommended by vets and installed by professionals, our customizable solutions will keep your pet happy and out of harm’s way in your home and yard. Your pets are family to us too. That's why our pet specialists are certified in our renowned Perfect Start™ Plus Pet Training methods. Find Invisible Fence online at http://saskatchewan.invisiblefence.com/your-local-dealer/home and in the Regina Vets and Pets Catagory on the Saskatoon DIRECTORY of Excellence...they are your Saskatoon Pet Fencing Solution Experts!